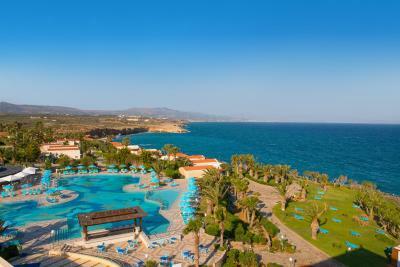 Lock in a great price for Iberostar Creta Panorama & Mare – rated 8.7 by recent guests! Rooms were comfortable and clean. Many pools. Access to beach. Banquet style dining room that caters to all. We didn’t realize we’d paid for breakfast AND dinner so it was value for money. Everything! 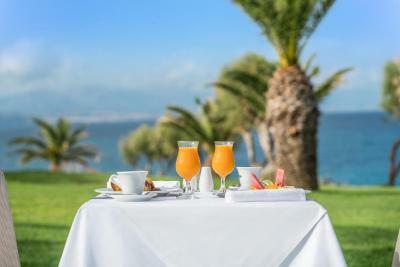 The breakfast, diner, and the multiple options to eat, the beautiful grounds, the activities, the pools! 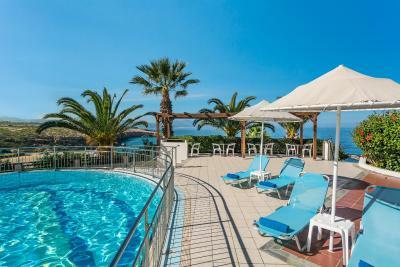 A nice hotel complex. 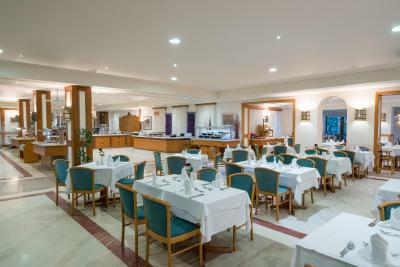 The restuarants can get busy at peak times but the range of food is quite good with some local dishes, including delicious baklava. We booked a family bungalow although it was more like a suite with a little annex for the kids and fair sized room for us, with a small balcony. Sea warmer than the pools, but not surprising in October. 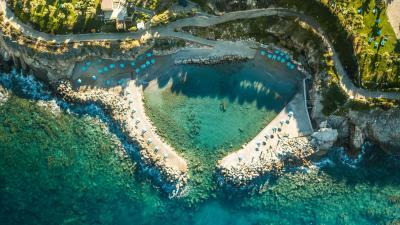 The man-made beaches/bays made for safe swimming with lots of fish to see. 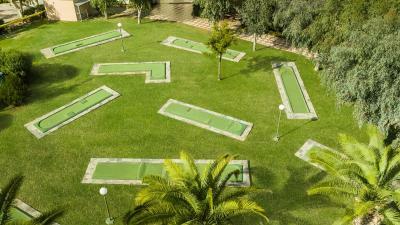 A large number of different shaped pools. Grounds well looked after. 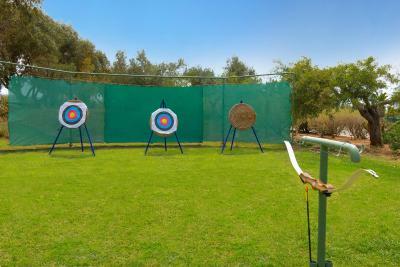 A very pleasantly laid out property, beautiful surroundings, lots of things to do, very helpful staff. 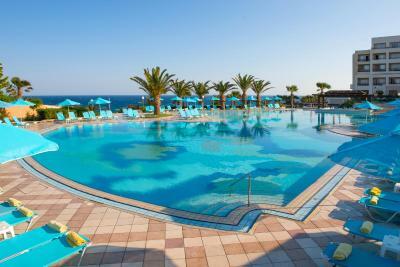 Nice choice of swimming pools. Fun activities by the main pool, good service. Very comfortable bed. Delicious buffer. The room was ample and the bed comfortable. 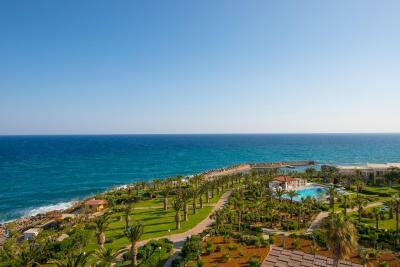 We had a very nice view over the gardens and sea. But the most fantastic was the food! The buffet (breakfast and dinner) was overwhelming! A big choice of everything you desire! Great salads, meet, vegetables, choice of desserts...Congratulations to the cooking team as well as for the entire staff! 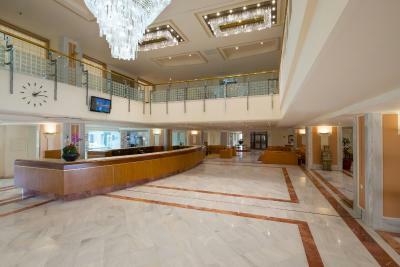 They never lose nerves, not even when more than 1000 guests (19th October) were at the hotel at the time. The gardens are very well maintained. 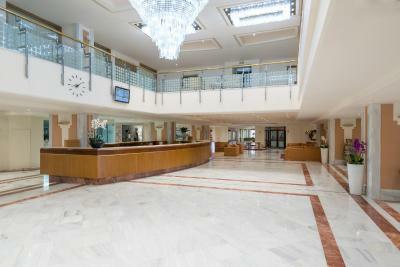 Reception is huge and stylish. Nice furniture. We enjoyed our stay very much! Thanks to all! The food is AMAZING! 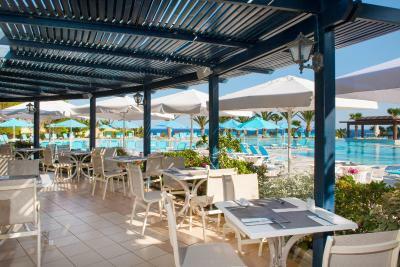 There are 3 restaurants on the property; all of which are buffet style. Since there are so many different restaurants, you will never miss a meal. Plus, there are midnight snacks until 0100. We arrived later due to a flight delay and were so amazed there was still food. The welcome drink is good as well as the candy they give you. There is a disco and bars, just an overall amazing time! It is like being on a cruise ship with live entertaintment shows even. Stuff of the hotel is very helpful and friendly. Service is good. Territory is good, big and green. 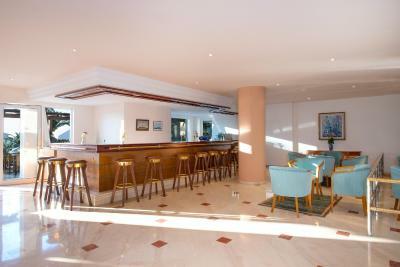 Excellent hotel that exceeded our expectations. 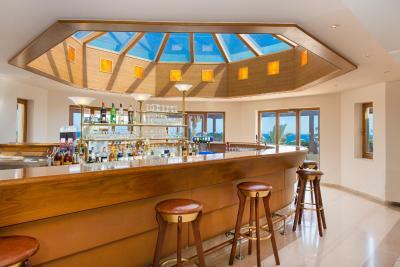 Great views, large pool, spacious room and overall lots of interesting facilities. They even upgraded us to a suite with panoramic views without any additional cost. It was the day of my wife's birthday and they even surprised us with a free cake and champagne. They focus on the customer and that's what's great with this hotel. Would definitely stay there again. Thank you! Iberostar Creta Panorama & Mare This rating is a reflection of how the property compares to the industry standard when it comes to price, facilities and services available. It's based on a self-evaluation by the property. Use this rating to help choose your stay! 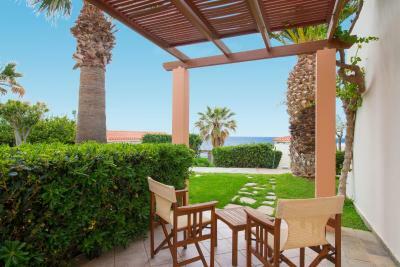 One of our top picks in Panormos Rethymno.Standing right on the shore of the Aegean Sea, Iberostar Creta Panorama & Mare is an elegant and peaceful complex boasting a pool complex of 6 pools, a spa center and 3 restaurants. Free WiFi is available and free, on-site parking is provided. 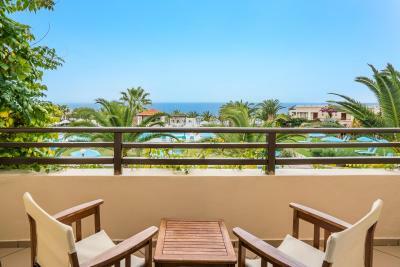 The Iberostar Creta Panorama & Mare is a large hotel complex featuring 454 rooms, shared between the main building and the hotel's bungalows. 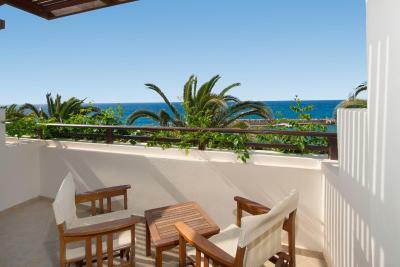 Each comfortable and modern room enjoys views of the garden and the sea from its private balcony. 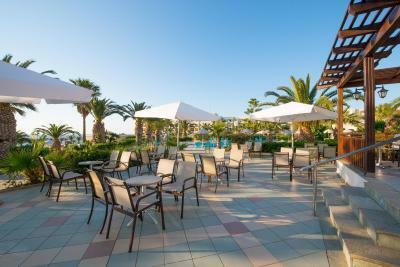 The all-inclusive Creta Panorama proposes a rich buffet served at the main restaurant. The Italian Restaurant is notable for its pasta dishes, while the Zorbas Tavern serves traditional Greek dishes. 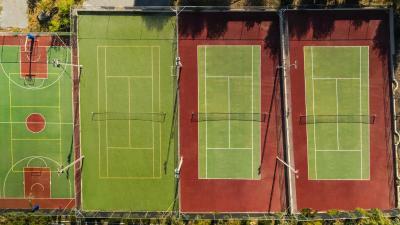 The hotel’s extensive facilities provide guests with the chance to practice numerous sports, including table tennis, mini golf, volleyball, basketball, archery, petanque, aerobics, aqua gym and billiards. Beach hammocks are also available upon charge. 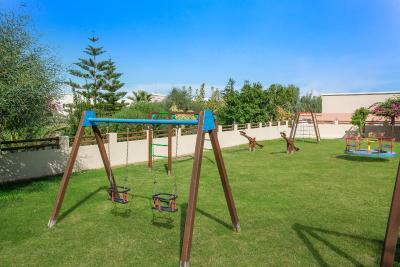 The facilities and services also include day and evening entertainment programs, the children’s area and the Miniclub with an extensive program of activities for kids. 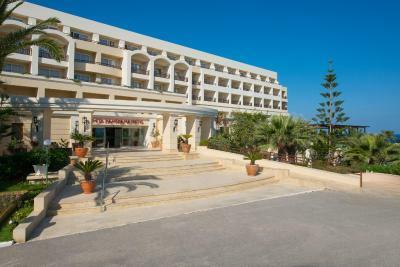 The hotel is 2.5 mi from the fishing village of Panormo and 11 mi from Rethymno Town. 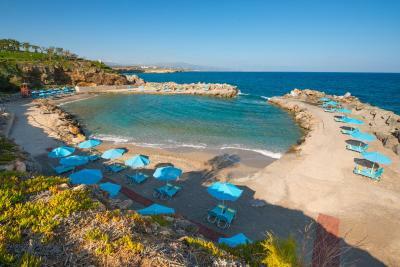 Also within easy reach are the towns of Heraklion and Chania, with the bus stopping very close to our hotel. 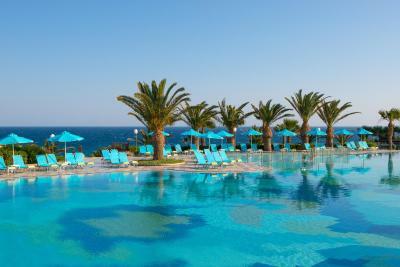 When would you like to stay at Iberostar Creta Panorama & Mare? 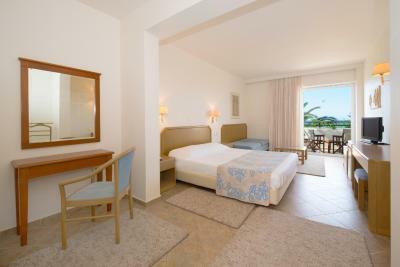 The spacious double rooms feature adjoining twin or double beds and a balcony with garden views. 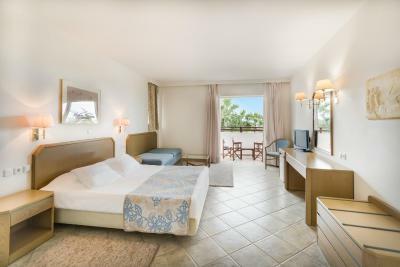 All Iberostar Creta Panorama rooms feature telephone, safe at extra charge, satellite TV, fridge and air conditioning, with spacious bathrooms with WC, hairdryer and eco-friendly towel change system. 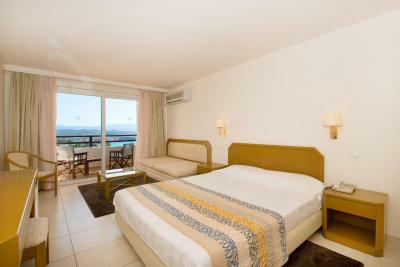 The spacious single rooms feature adjoining twin or double beds and a balcony with sea or garden views. Please note that the room rate is based on 4 guests. Safe is available at extra charge. 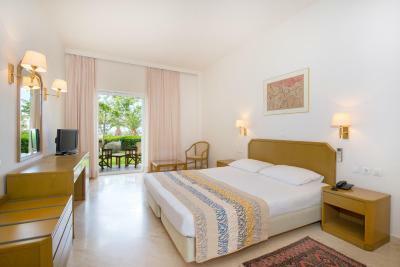 The spacious room features adjoining twin or double beds and a balcony with garden views. 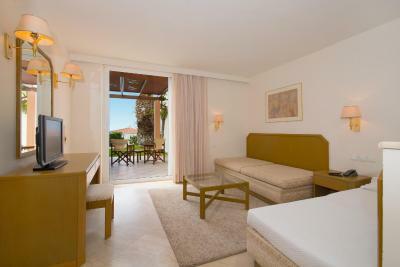 Spacious room with garden-view balcony. It includes a telephone, safe at extra charge, satellite TV, fridge and air conditioning. 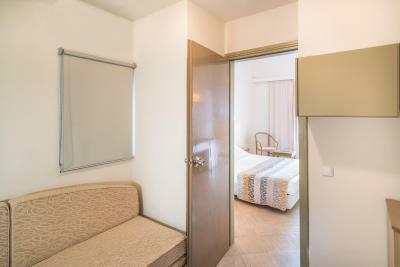 Its large bathroom comes with a hairdryer and eco-friendly towel change system. 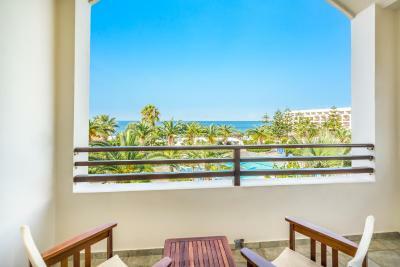 Spacious room featuring a balcony with sea views. 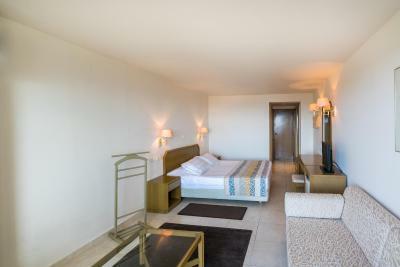 All rooms feature telephone, safe at extra charge, satellite TV, fridge and air conditioning. 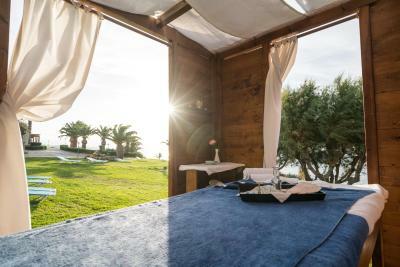 The spacious bathrooms include a hairdryer and eco-friendly towel change system. 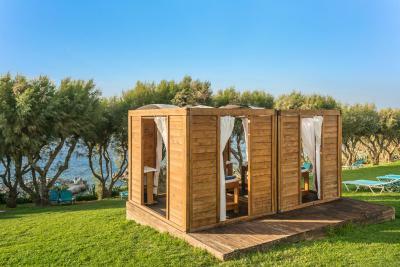 spacious bathrooms with hairdryer and eco-friendly towel change system. 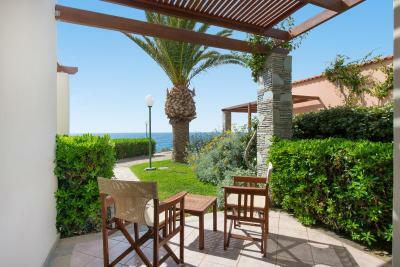 This bungalow has sea view and VIP service. Safe is available at extra charge. 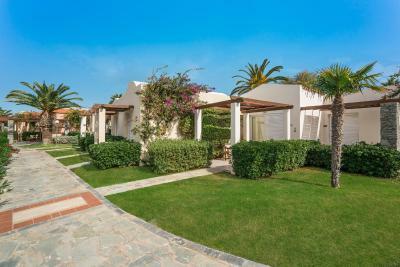 This bungalow has air conditioning, seating area and private entrance. 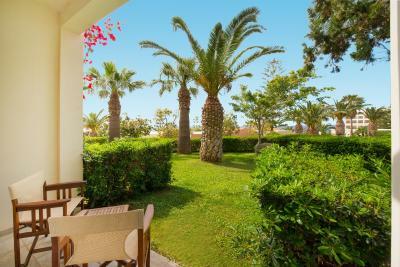 House Rules Iberostar Creta Panorama & Mare takes special requests – add in the next step! 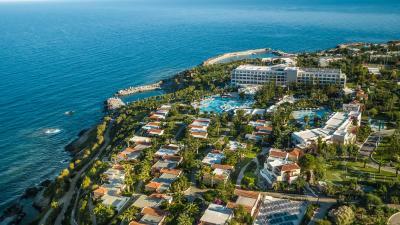 Iberostar Creta Panorama &amp; Mare accepts these cards and reserves the right to temporarily hold an amount prior to arrival. 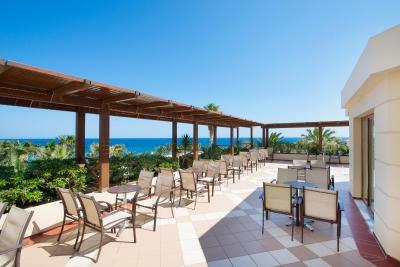 Iberostar Creta Panorama & Mare accepts these cards and reserves the right to temporarily hold an amount prior to arrival. 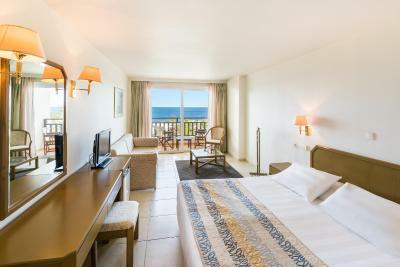 Please note that for the Special Offer Rooms, guests are required to present a valid ID (for senior citizens) or a valid marriage certificate (for honeymooners) upon check-in. The Hotel reserves the right to charge a 10 % supplement in case client does not have identification required. Gentlemen are requested not to wear shorts or sleeveless shirts during dinner. Beach hammocks have an additional cost. 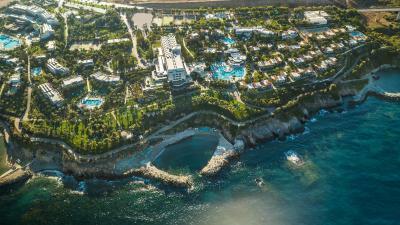 The beaches that are part of the hotel are fantastic. There was a mix up with our room and so no additional bed was prepared but they compensated the following day by giving a room upgrade. The more expensive room was very nice though the one we originally booked in the cheapest category was very basic. The food was good enough given the volume of people they are catering for. Th view from the hotel are stunning. Cocktails were seriously disapointing as don't use fresh ingredients (and the moijito had one mint leaf!!) and the wine wasn't great. Parking limited considering the size of the complex. Beds quite hard. At the time there was no a la carte dining options, not even snacks or fast food. At the time when people become more conscious about waste the amount of food being thrown away is gross to look at. It was some times a bit full at dinner. One had to wait to be seated. This was due to the big amount of guests the last week of October 2018.. I did not understand why Soda water is charged with EUR 2.80 per glass! Should, in my opinion, be free as "normal" water. The only downside that we saw was it is a little far away from the airport. There is a bus stop in front of the resort but I am not sure how that worked. We got a car, which I highly recommend because Crete is beautiful to drive around on. Free parking on the resort. Everything! Great place to chill for a few days with everything you need. When we arrived at the hotel, they told us it was actually the other hotel beside it, so I cant accurately describe the actual hotel. The rating is for the adjacent hotel. The room was okay, the pool area was fun but the beach was small. The food is typical resort food but they had some amazing and delicious options.